Add-ins(s) are the way to extend the functionality of applications for custom tasks. They are the software utility or program that can be added to primary programs and that will help us to make many tasks easier and more convenient. We have a customized software solution on Microsoft .NET technologies; it’s an ERP (Enterprise Resource Planning software) for a leading shoe manufacturing brand based in India. They need excessive reporting to control Sales, Production, Marketing & Retail outlets. Previously they were bound to install complete software setup on each and every machine to provide all related data. But when we develop a Microsoft Excel add-ins; life became easy because now they don’t need to install complete setup they just add the add-in and provide all the related information with flexibility of Microsoft Excel. 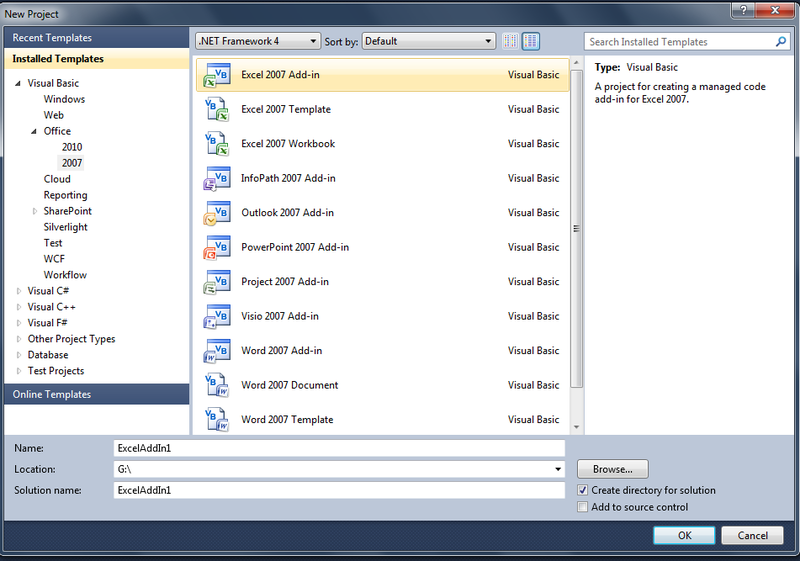 It was not a big challenge to develop Microsoft Excel add-ins by the help of Visual Studio 2010. 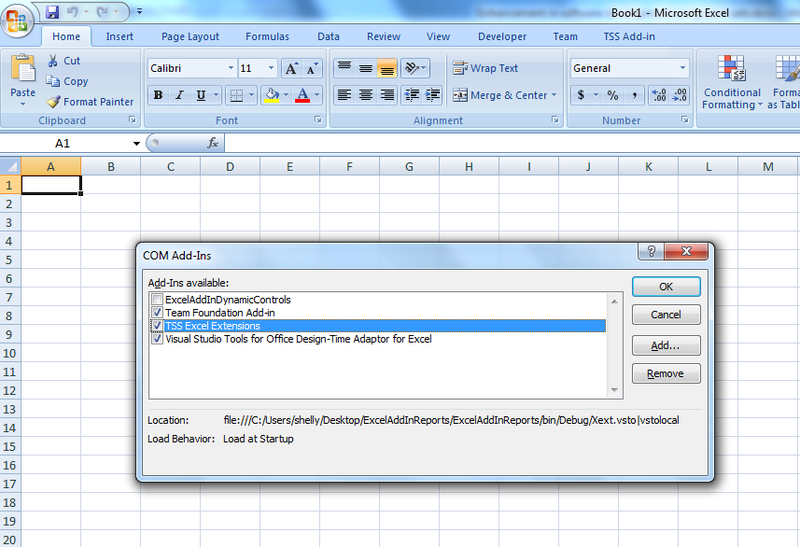 We just choose Excel 2007 Add-in option; the other available options are displayed in this image. After selection of our desired add-in from the list, we need to proceed with a ribbon control that can be displayed as tab once our add-in will be installed. By clicking on this tab, we find a user interface that can have buttons and other controls. We have also added window forms for getting user input to provide user-specific data. We had maintained all security considerations while implementing Add-ins as we do in our original software. Any un-authenticated user is forbidden to access data so that the data consistency can be retained. All actions are performed on server side and user’s password & other sensitive information are always maintained at server. Any types of secured information are not passed between Client & Server. We are using web services in our solution, so there was no need to re-write them we had used the same web services for our Microsoft Excel Add-in. Web services are used to fetch data from database according to user input which leads to shorter completion time. 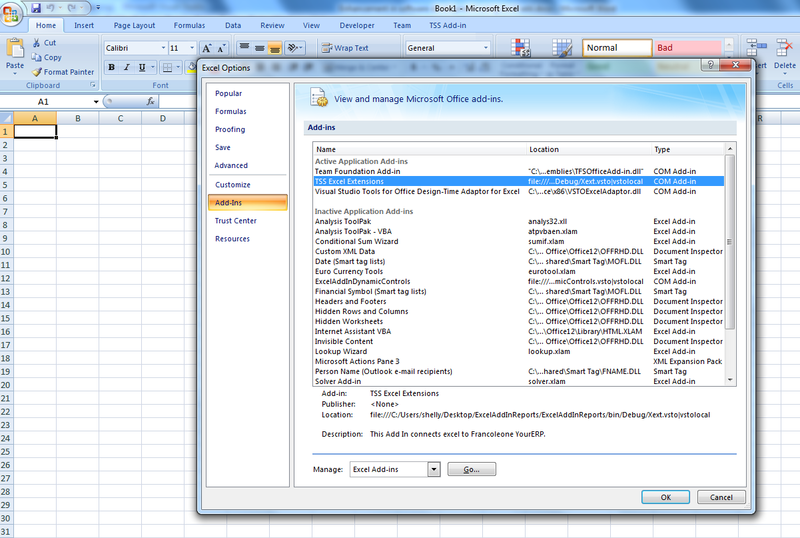 There is no limitation for number of add-ins in excel. 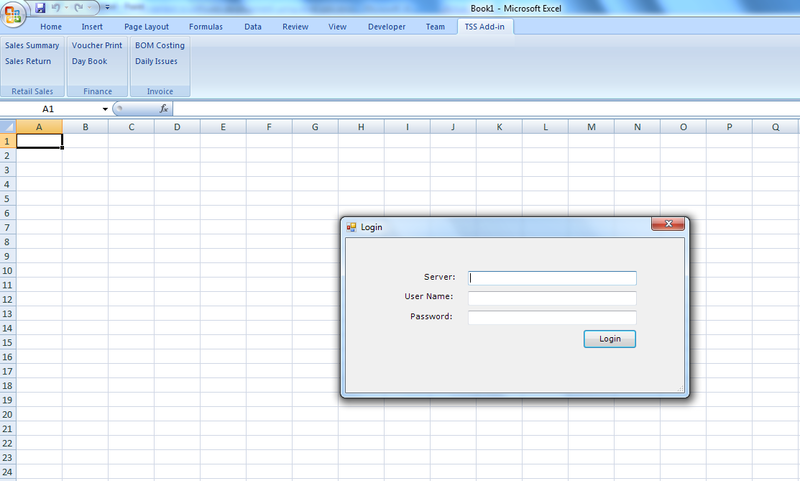 Any number of excel add-ins can be installed on system. If user want to remove add-in from excel on temporary basis. It can be easily disabled. After that add-in will not show in excel. Select or unselect to enable or disable add-in. In our software we are using crystal reports to export data in excel. But in that case we had some limitations like we had to compromise with formatting and custom actions and we had no flexibility to modify data presentation. Now we are using excel with all its functionality. It also enhances company’s ability to respond to customers. This also reduces the time and resources required to train users because most business professionals are already familiar with the Microsoft Excel application.